Let's talk DENIM! That weekday staple we all live in. One of my favorite things to splurge on is a fantastic pair of jeans. There's just nothing better than a pair that feels like it was made for your legs! BUT when you're in between sizes, it just doesn't make sense to invest in super duper expensive jeans. ​Right now I'm still in that postpartum phase after having my Millie girl, but slowly losing weight, so I'm in this weird spot where I want jeans that fit but don't want to break the bank till I'm pretty sure I'm ​staying in that size. 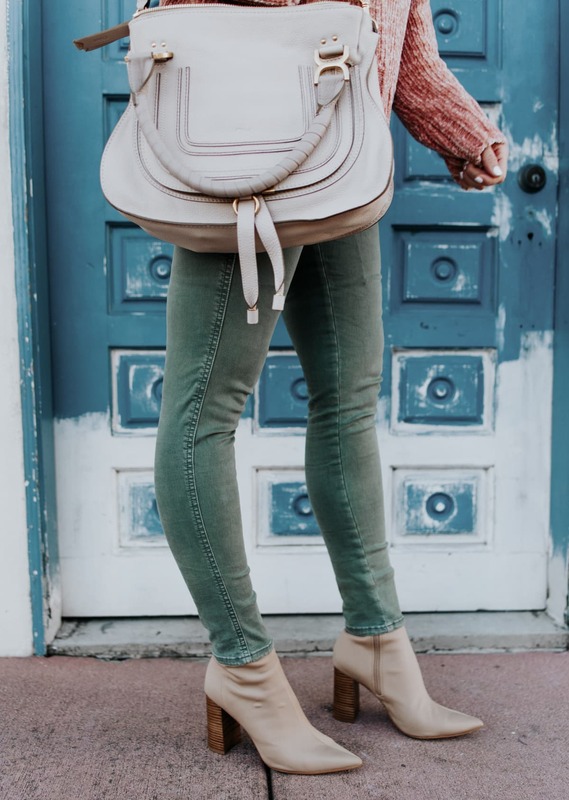 SO…I've been hunting down some less expensive options for this transition period, and today I've rounded up the HIGHEST rated jeans that won't break the bank! These jeans are absolutely hands down one of the BEST pairs of inexpensive jeans I've found in years!! They fit like a glove, the skinny fit goes right down to your ankles but they have enough stretch that they glide on like butter, and they're easy on the piggy bank. Right now they're 25% off and if you need even more convincing, check out the reviews!! They come in tons of other washes and styles (ripped knees, cropped, etc.) so there are tons of options and I'm dying to get my hands on another pair or two. They fit pretty true to size, but if you're in between sizes, size down! 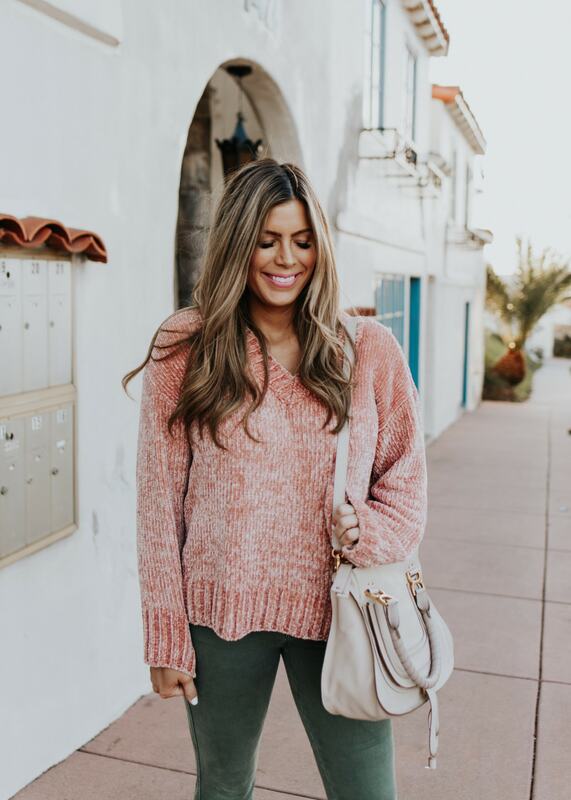 This chenille sweater is sold out in this blush color, but there are a few different colors still available (one is half off!) and it's so soft you'll just feel cozy as can be all day long. The ribbed collar is perfect to pair with jeans for a classy casual look. Fit is a little oversized but I still ordered my regular size and it was perfect. 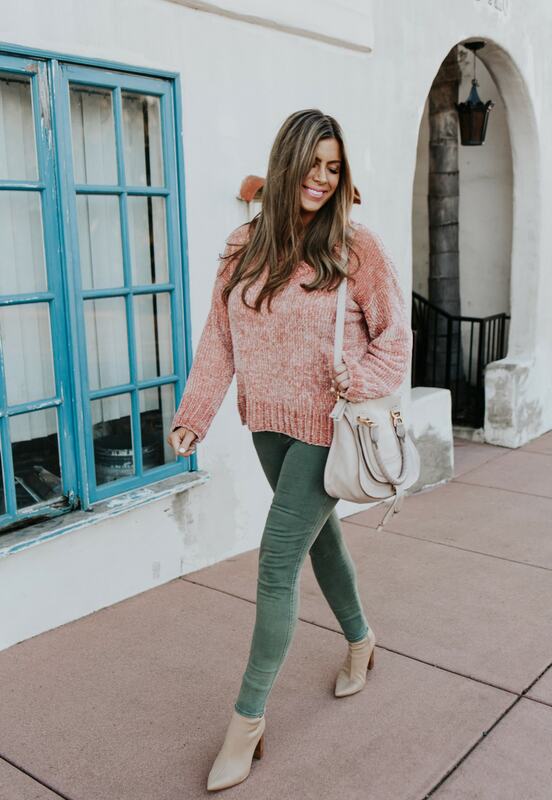 This exact color of booties is sold out, but you can get the same ones in a few other colors right now! The pointy toe is dressy, but the wide heel and stretchy shaft makes them comfy and so easy to walk in. Like 9.5/10 comfort level booties. And I'm SERIOUS about my comfort when it comes to shoes! These fit TTS!! 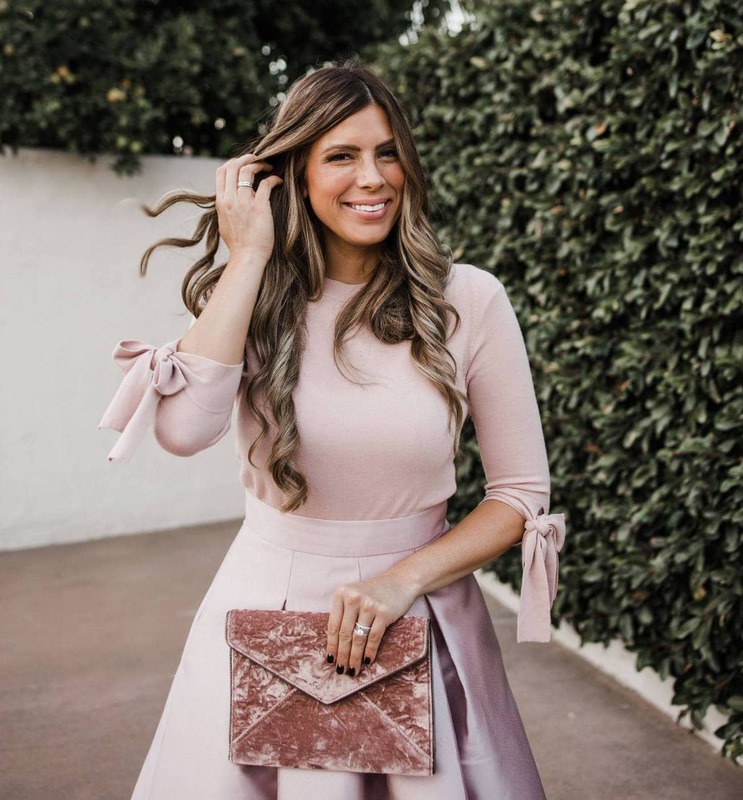 You know I love a bag that is big enough to work as a diaper bag OR a work bag…and somedays, I need both! This one has super-handy pockets and a few different strap options, so it works no matter where my day takes me. This bag is a definite splurge (it was my only Christmas gift! ), so if you're not quite ready to take the plunge, here is a crazy good dupe for less than $100! We took the time to round up ALLLLL the best, HIGHEST rated, and cutest inexpensive jeans on the internet right now. Shop all our favorite inexpensive jeans below!